Great shampoo is one of the keys to great hair, and your choice of shampoo can make or break the health of your hair. Aveda’s key focus on providing products derived from natural, Ayurvedic-led ingredients means they’re an ideal place to look for those looking for not just healthy hair, but a wholly nourishing experience, mind and spirit included. So what Aveda shampoo is right for you? Aveda’s focus on revitalizing, plant-based ingredients makes their shampoo selection vast and ideal for fine hair. For volume, your best bet is the Pure Abundance Volumizing Shampoo. Those wanting to stimulate growth may want to look at more treatment based options like the Invati System, or the Rosemary and Mint Shampoo for gentle cleansing to revitalise the scalp and prevent hair from being weighed down by flakes, excess sebum or product residue. Those looking for a great everyday cleanse will love the Shampure line. Formulated simply with proteins and 25 calming plant and floral based botanicals, this gentle line helps to cleanse without stripping to provide optimal results for any hair type. Thick hair can become dehydrated and tangled, so focus on products like the Dry Remedy Moisturising Shampoo or the Smooth Infusion Shampoo to increase manageability and prevent tangles from becoming serious breakage. Damaged hair will benefit greatly from Aveda’s Damage Remedy Restructuring Shampoo. This shampoo not only nourishes the hair, but utilises plant-based proteins to fortify, rebuild and strengthen the hair along with key amino acids, which are the building blocks of the hair. This top nourishing formula is the best choice for those with seriously damaged hair as it not only rebuilds the hair, but extends it further protection from heat styling and environmental damage. Aveda has a number of gorgeous shampoo options for colour treated hair, from the all-around powerhouse Color Conserve shampoo to shampoos designed for specific hair colors: Blue Malva Shampoo for platinums and greys, Clove Shampoo for honey/warm toned brunettes, Black Malva for cool deep tones, and Madder Root for warm auburn, chestnut, or red tones. These shampoos make it easy to maintain your colour with each wash! 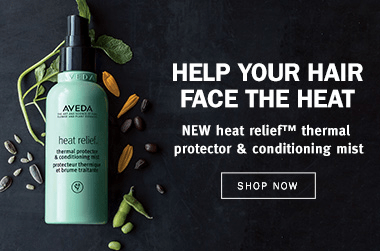 There’s sure to be a solution available for you, so check out the selection below to find your new favourite shampoo from Aveda! I’m obsessed with Aveda products and I have naturally wavy hair. The Aveda Be Curly™ Shampoo smells great, but it doesn’t really balance the natural curl my hair has. I feel it’s a good shampoo to have for thicker hair, but doesn’t define my curls too much. This stuff smells so nice. I frequently die my ends fashion colors and this does a good job of not wrecking and fading them too quickly. The big salon style bottles last me over half a year, so it’s not unreasonably priced. I feel good about the natural products and my light blonde hair feels healthy without being brassy! I use to be very sceptical of shampoo and conditioners which have a hefty price tag, especially if they are small in size, however this product is actually worth a go! Does a great job at nourishing and hydrating from the roots to ends.